Hetman Uneraser quickly recovers deleted files and folders from just about any kind of storage media. Hard drives, memory cards, external storage, USB drives – you name it! The tool will reliably recover accidentally deleted files even if you used the “permanent delete” function with Shift + Delete, and restore data cleared from the Recycle Bin. Get the full pack of data recovery tools for the price of one! The total cost of tools included in this bundle and one year of priority customer support is close to $600 if purchased separately. By ordering a package deal, you will be getting all eight great data recovery tools for only $149.99 – a 65% savings compared to the total cost of individual licenses! Are you a fan of the all-in-one approach or prefer a dedicated tool for each job? You no longer have to guess! By getting all eight data recovery tools in a single pack, you’ll be able to use the most appropriate tool to handle each job. Recover pictures, documents, spreadsheets, restore information from hard drives and memory cards by using a tool best suited for the job! At the beginning of the year, Hetman Software updates its entire range of data recovery tools, adding the ability to resume the scanning process if it gets interrupted. In addition, all tools comprising Hetman’s 2015 range can now save the result of disk scanning and analysis, allowing the user to use any other Hetman Software tool to actually recover the data. As a result, the scanning and recovering stages become independent to allow much greater flexibility than ever. When analyzing unreliable, unstable or worn out hard drives, users of data recovery tools may experience multiple freezes and crashes throughout the process. Once interrupted, the data recovery process would have to restart from the beginning, making the already lengthy process of extracting data seemingly infinite. Not any longer! 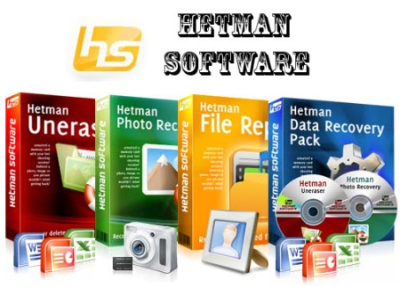 In its 2015 range, Hetman Software enhanced the entire product range with the ability to store current progress, automatically resuming an interrupted data recovery job if the task is interrupted for any reason. This major update makes recovering hard drives that are just about to fail a much faster and more reliable process. If the user scans the disk with one data recovery tool only to find out it wasn’t the right tool for the job, trying a different product would again require the complete analysis of the same hard drive. Not any longer! In its 2015 range, Hetman Software separated the analysis and recovery stages, making it possible to save the results of the disk scan and re-use the data with a different tool. As a result, users can analyze the disk with one Hetman product yet finish the recovery with a different Hetman tool. This allows choosing the best tool for a given job without wasting time on re-scanning the media being recovered.